I have been shot Kazumi Nikaido's work from 2003. 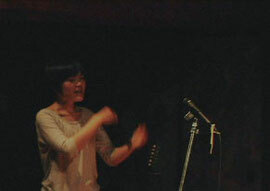 This is the video of the day of the live in Ryodenji ,Tokyo. I have been shot moools's work from 2003 to 2005. This is a tryal to reach my hand for touching the matter pass by .